10 Benefits of the Green Food Smoothie Fast! I am a big fan of Green Food Smoothies! I use them to fast, or just as a healthy meal replacement or snack. I am even a bigger fan of drinking my salads as opposed to eating them! 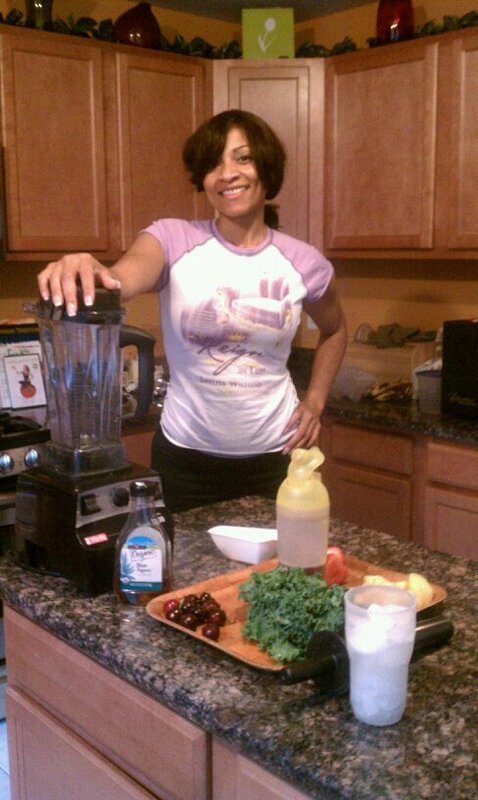 I am on the go all the time and my smoothies are a quick, easy and by far the healthiest meal ever! Weight Loss: A great way to get in whole foods and since vegetables and fruits are low in calories the Green Food Smoothie Fast is safe and natural way to lose weight. You can also substitute a smoothie for a meal or two as a healthy way to reduce calories. Detoxification: We need antioxidants to help eliminate the extra toxins we ingest daily, via dead food, pollutants, chemicals, house hold products etc. 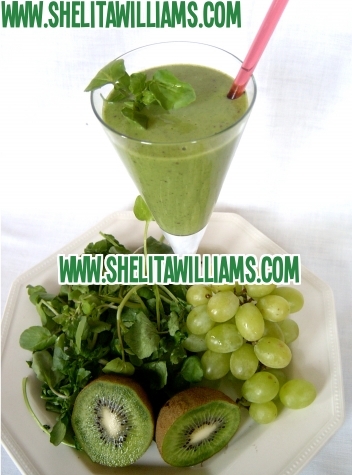 Green food smoothies are high in antioxidants. High in antioxidants: Green Food Smoothies are high in antioxidants and phytonutrients. Not only are you giving your body the best defences for disease, but you are ingesting a variety of natural substances that are essential for optimum health and fitness. Restores PH balance: The natural PH of the total fluid which for the average adult is % 60 should be 7.0 PH (The blood is more alkaline at 7.3-7.4 PH). Cancer, Arthritis, most diseases thrive in an acidic environment. When we cook our foods we kill the enzymes and cause them to be more acidic. Having Green Food Smoothies are a raw food with all the wonderful enzymes intact there helping restore your bodies PH balance. Increases self-control and discipline: If you have ever been on a fast you know that it requires self-control and discipline. We can’t Reign in any area of our lives without these character traits. Going on the Green Food Smoothie Fast will build the discipline that you need to Reign not only in Health and Fitness but in every area of your life! It’s a whole food: It stabilizes blood sugar, the fiber remains. I love juicing don’t get me wrong, it has major benefits. When the fiber is stripped from the fruit and vegetables so are some of the nutrients. We need that fiber to assist with lowering or maintaining a healthy cholesterol level and to get rid of toxins from our colon. Get your full serving of fruits and veggies: In one drink you can get all the fruits and vegetables you need for the entire day! USDA recommends 2-4 servings of fruits (I recommend not more than 2 if on weight loss plan) and 3-5 servings of vegetables. Even if you don’t like the taste of veggies, the fruit will mask the greens in your drink! 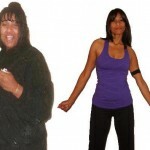 Reduce cravings: Green Food Smoothie Fast will reduce your cravings of highly process foods and refined sugars. If you are having uncontrollable cravings for junk food consider doing a GFS fast! Increased Energy, mental clarity and focus: Once you get rid of those excess toxins in your body and pump yourself full of vitamins and minerals you definitely will have more energy, clarity and focus. Rich in Chlorophyll: Chlorophyll is a compound created by plants and is very similar to hemoglobin. It’s great for people who are anemic. It’s helps to oxygenate the blood and has many other benefits. Shelita Williams, R.N. helps aspiring and established women entrepreneurs who struggle with achieving their health and fitness goals, to lose weight, increase energy, boost confidence and establish brand integrity so that they are poised, fit and motivated to start, manage and grow their business! Sign up for your free eCourse and Reign in Health and Fitness updates! « Previous Post How to Make Chocolate Tofu Mousse! Next Post » How to Make a Veggie Burger! 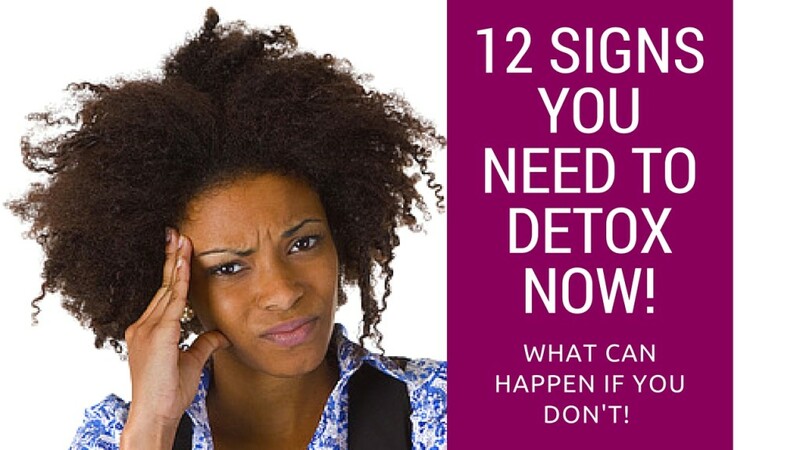 12 Signs You Need to Detox Now! 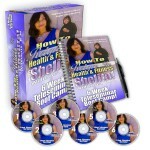 Categories Select Category 7 Day Challenge business Detox Disease Prevention/Treatment Exercise Health and Fitness Health and Fitness Tips Herbs that Heal Motivation / Encouragement My 10 Day Detox Journal My Organic Garden Recipes Restaurants RIL Radio Show! Shelita on Instagram! Follow Me! ©2018 ShelitaWilliams.com All Rights Reserved.